Coumadin, which is used to supposedly "prevent" heart attacks, was approved by the FDA in 1950 - before they knew much about either what caused heart attacks or how vitamin deficiencies can harm us. The theory was that if you thinned the blood, then it would prevent a heart attack or stroke because a blood clot would not form in the blood vessels. They now know that even if medication prevents the forming of new blood clots, people still have 100's of old clots in their bodies and even if one that breaks loose is a tiny blood clot, it can still cause a heart attack. Therefore, stopping new clots may be something akin to trying to empty the ocean with a tea cup. Coumadin was first marketed as a pesticide and rat poison and is still used for that purpose although other poisons have been marketed since which are supposedly even more effective. How coumadin (or Warfarin) works is it inhibits Vitamin K in the body. The average adult needs 120 mg of vitamin K daily. And this is where the problem with this medication comes - Vitamin K does a lot of other things besides help the blood to clot. So people on Warfarin/coumadin can suffer a deficiency of Vitamin K which can cause osteoporosis and even a greater risk of heart problems (but wait, isn't this medication supposed to prevent heart attacks?). But the worst thing coumadin can cause is internal bleeding. 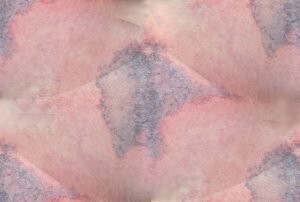 If that happens close to the skin, you get a darkening or bruising of the skin but it can happen anywhere in the body and this is because it's inhibiting your body's ability to repair bleeding problems. Coumadin can also cause a brain bleed. I found out about those because my husband had a brain bleed in 2008. He had not been taking Coumadin but had been taking a milder Vitamin K inhibitor - aspirin, again to supposedly prevent a heart attack or stroke. I found out later that the Bayer Aspirin Company admits that 1 in 5000 people taking low dose aspirin nightly, can get a brain bleed and 1 in 1000 can get a severe bleeding in their stomach or small bowel. 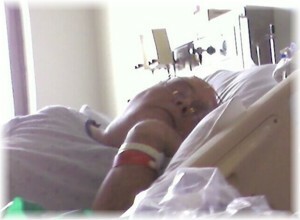 There were 6 other people in the Neural ICU with my husband and all of the others there, had been on Coumadin. My husband came home with a ventricular shunt. None of the others in the Neural ICU survived. I found out later that if a person gets a brain bleed, they only have a 20% chance of surviving. And brain bleeds are very sudden. My husband got his right after we came home from a bicycle ride - we had joked and talked as usual and then, he was sitting on his chair saying he got a horrendous headache suddenly along with visual disturbances and a rushing in his ears... and so, the nightmare began! A month before my husband's brain bleed, a dear friend of mine was found unconscious on the floor of his room. He was brought to the hospital but never came to. He had been on coumadin and his blood levels had gotten too high. In a CME I watched some time later on TV, they warned that a person on Coumadin should get their blood levels tested at least once a week because they can get out of control easily. But few patients on this medication are told that. When I visited my dear friend, I noticed his arms had been black for years. He told me that was the coumadin. What I was seeing was internal bleeding and that is what eventually was the cause of his death. There is a long list of medications which you should not take when you are taking Warfarin, including OTC's like ibuprophen. It's best to check this list, if you are taking Warfarin/Coumadin before you take any other medication. Or better yet, say "no" to Coumadin. Vitamin E will slightly thin the blood also - without all the repercussions. And there is a body of evidence in medical studies that a person can heal their heart with cardio exercise 4-5 times a week and a low fat nutritional diet. I met Charlie at the gym. He had been on the heart transplant list and decided to start a healthy program. Within 6 months, he was well enough to be taken off the heart transplant list! He was in his 60's!